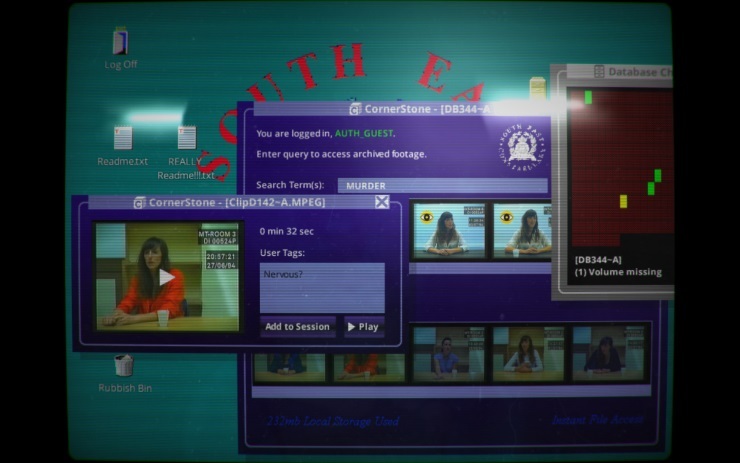 Her Story is one of those games that you’ll find hard to forget. A simplistic yet riveting one-of-a-kind experience with a plot that twists and turns with characters which have been extensively developed. Many factors are responsible for Her Story’s success, but what champions it most is the flawless writing and attention to detail. Tiny fragments of information which would be overlooked in other titles become key to solving the mystery and putting the plot together, so wits and a beady eye are required to get the full experience. Despite the basic gameplay of searching a database and watching videos, it’s almost impossible to stop watching. It’s like Netflix syndrome: “just one more”. The premise is simple. A British woman is being interviewed following the murder of her husband, and it’s the your job to navigate a database full of live action video footage of numerous interviews conducted with her. The videos are not in any sort of order, so you have to search the database using terms found in the speech of the videos: searching “The Rock” will bring up all the videos in which she mentions the local pub. However, displaying every video would of course make it too easy. Search results are limited to five videos, forcing you to narrow the search terms to find the clips hidden away in the nooks and crannies of the database. You can also save interesting videos to refer to later, making it slightly easier to make connections between clips and piece the story together. There were many a time while playing that my jaw dropped. I gasped, writhed, and then swore at how excellent the writing was. I was captivated and utterly enticed by the prospect of finding out the truth, and when you do, you’ll feel the same. The acting talent presented by Viva Seifert is worthy of an Oscar, who plays the utterly convincing part of a confused and grieving wife. She masterfully portrays her emotions as her character discusses past heartaches, romances, and broken childhood; acting as the main emotional connection between player and plot. My one initial worry was that there was going to be no end-game. It looked as though you could just watch all the videos with no sort of conclusion to draw from all those hours of gameplay. However, there is a certain point you reach where you will be asked if you’re finished watching. I couldn’t tell if this question came after watching a specific video or after reaching a certain number of videos watched, but regardless I’m glad it exists. 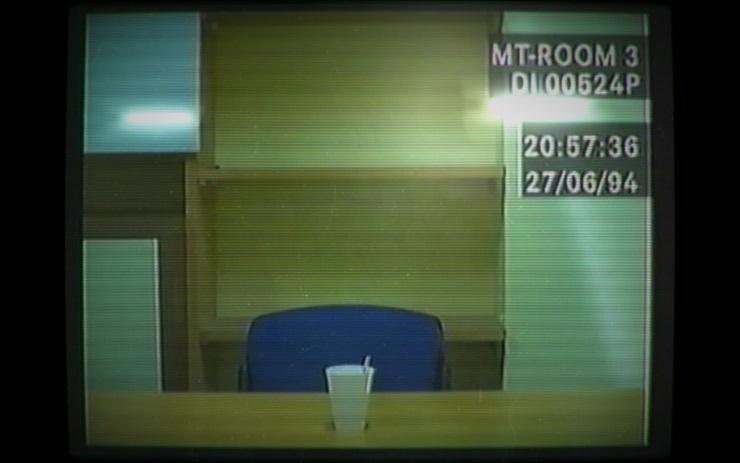 Her Story is about more than just discovering who killed Simon. It presents a complex and unique look into the life of a human being, with you watching as layers are peeled away by the oppressive hand of police interrogation and thus, their true person laid bare for all to see. Discussions of lost babies, romantic weekends, and family friendships are candid and explicit in their detail – truths which help add depth to the story as well as the characters. My only concern with Her Story is that of its replayability. Re-watching the clips for the second time, a lot of the impact is lost, and once you know the story there’s really no point in replaying. However, you get a complete and distinctive experience for the tiny sum of $4.99. The content you get for the price you pay is excellent, and the impact it creates is something that is unforgettable. It’s a game primed for fans of mystery titles, visual novels, and even film fans who have little prior experience with video games. 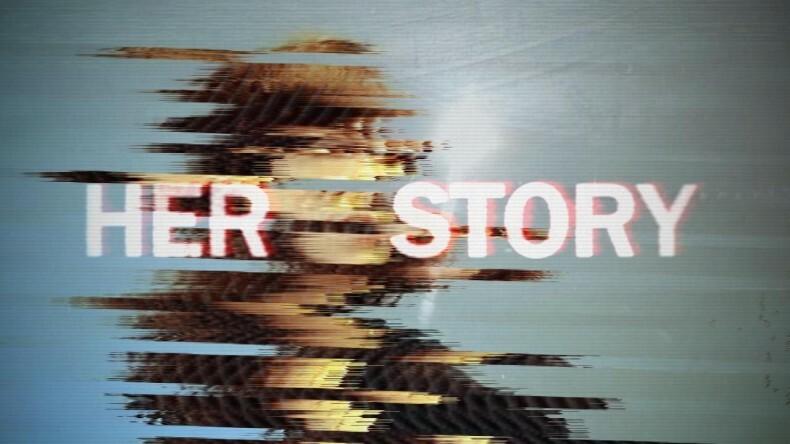 Her Story has changed the way I look at video games as a medium for story-telling. Its non-linear plot keeps you thinking as you’re forced to make connections between sets of clips to bring the story together. It requires focus and a sharp attention detail, but this cerebral sort of gameplay is refreshing and makes you work for the conclusion. You feel like you’ve earned the truth when you come across the clips, hidden amongst all that backstory, that really get to the heart of the plot. An astounding performance by Viva Seifert, immaculate writing by Sam Barlow, and a completely innovative concept cement Her Story as one of the most solid and mesmerising releases this year. A brilliant performance by Viva Seifert. An astounding performance by Viva Seifert, immaculate writing by Sam Barlow and a completely innovative concept cement Her Story as one of the most solid and mesmerising releases this year.